15 year old Rose Zhang, is ranked #3 in the Rolex AJGA Rankings. She is ranked #2 in the Junior Golf Scoreboard Ranking’s and is the #1 Ranked player in the class of 2021. The talented Freshman who is a freshman at Pacific Academy in Irvine, California, has had an outstanding year competing on the AJGA Tour. Rose, won the ANA Junior Inspiration, that qualified her to play in the LPGA ANA Inspiration, where she not only played well, but made the cut and finished tied for 60th place with round’s of 72-70-77-70 (289) +1. Rose was 14 when she played in the ANA. She was selected to represent the United States in the Junior British Open at Carnoustie, Scotland, where she finished 13th, with round’s of 70-76-69 (215). 13th, is significant, because she played against the boys and the girls from all nation’s that compete in golf. Rose’s 2nd place finish at the Girls Junior PGA Championship qualified her for the 2018 Junior Ryder Cup that will be played in Paris, France. Rose shot 68-67-67-66 (268) -20 under par. Rose will travel to Paris, September 20th. After 4 week’s playing in Europe and the East Coast, Rose returned to Irvine and decided to play the Swinging Skirts AJGA Invitational. Although worn out from her previous 4 week’s of competition, she shot 67-72-69 (208) to win and earn a spot in October’s, LPGA Swinging Skirts event in Taiwan. Rose was on the winning West Team in the Wyndham Cup, a Junior Ryder Cup format, pitting the West against the East. Shot 64 to finish 2nd stage Japan Q-school to finish 3rd!!! It's been a great month of golf for me so far thanks to George Pinnell! Over the past three years, George has been my coach/swing coach. I’ve struggled so much through my high school career, but George was always there to guide me in the right direction. He believes so much in his players and loves what he is doing to help junior golfers grow. Now I’m going to Seattle University on a golf scholarship, I can certainly say that I’ve grow a tremendous amount as an athlete in the golf game and as a wholesome individual because of his genuine care and teachings. Thanks for everything George. I look back on what I have accomplished and well, a lot of it couldn't have started without a beginning and someone who believed in me first. That was you. So thank you for your investment in me and for believing in me! I am enjoying the process a lot and I want to get better each and every day. It's a really exciting time in my life and I'm thankful for every minute of it. "George Pinnell has been my coach for about 6 years now. I have been his student ever since he was at Industry Hills (now called Pacific Palms), Westridge, and currently at the Rowland Heights Driving Range Center. He is one of best coaches around if I may say so myself. My name is Tiffany Lua. I still remember the first day I came to get a lesson. I didn't even know how to grip a golf club, stand properly to address the ball, or even know how to finish a golf swing. Now I can actually play. I have enjoyed every single minute of my lessons to this very day. He's just so unique in his teaching because he can relate to me. George has always been there when I've lost and when I've won. He understands and knows how someone is feeling like when they're down from shooting a horrible round, losing a five shot lead, coming up from behind, or even with family problems. He'll always be there as a coach and as a mentor. The lessons are sometimes infused with wonderful life-learning short stories that teach sportsmanship, etiquette, and integrity. Without these qualities, it doesn't matter how good you are because no one will give you respect. Even more importantly, he has some of the best gizmos and gadgets around that actually help your game. He has the V1 system with his latest high-speed camera that shows 160 frames of film per second of your swing to detect even the slightest mistakes of your swing! Whether it be 100 degrees outside on a summer day, he will be teaching. On a day it be 50 degrees outside he will be teaching. With his sparkling personality, an eagerness to help others, and a wonderful heart, he's more than a coach to me. He goes above and beyond to make sure that I and other people succeed not only as a golfer, but as a person." "George has been giving Kat lessons since she was 9 years old. She has a passion for the game that is remarkable and she practices every day. In the early days when Katherine started going to George, he always told her to “take ownership” of her swing. At the time, a 9 year old does not know what that means, but today she does. George teaches players to have a repeatable swing which is what all great players aspire to have. No matter if the shot is the first drive of the tournament or the approach shot in the playoff - you need a swing you can rely on. George teaches the correct positions from start to finish in your swing and he uses the HD Trackman system which is the best system money can buy. I call George a "pioneer" on Trackman since he used it before it became popular. He uses it on all players, whether they are beginners or pros. You can only develop a repeatable, trusted golf swing with good coaching. George has been that coach for the Kat." Great playing Matthew! Way to go! I love following all the SoCal up n' comers. Keep up the stellar play, I'll be watching the scoreboards for you. Good luck. And congratulations to George Pinnell, always continuing to add to his stable of super talented golfers. Great Job George Pinnell! You've trained many great golf athletes for decades and been very humble about their success. You are a true local legend. I credit George Pinnell with all of Joys' golf success as a high school and college player, and more recently as a professional golfer. For the past 8 years I have come to appreciate the detailed swing adjustments, course management, and tournament consultations provided by George. His equipment is state of the art, but more importantly is the wonderful guidance he provides on a weekly basis on how to approach practice, physical training and planning for play in the right tournaments. Beginners, intermediate and advanced golfers would benefit from his terrific guidance. Thank you George for all the lessons you have taught me! Exactly this day is my one year anniversary of having lessons with you. You have made me very successful with my past tournaments and I am very grateful for that. George has been coaching Michelle for 9 months and has transformed Michelle into a consistent player. Since she has started under George's tutelage, she has excelled in all aspects of the game. Additionally, with his wealth of knowledge and use of technology, he is teaching Michelle the importance of swing plane, impact, and consistency. However, more importantly, George is also teaching and sharing with her about challenges of life, integrity, respect, accountability, time management, and sportsmanship. We have great respect for George…not only because of his knowledge in golf, but because he is also a teacher of life. I have seen a great transformation in Michelle’s perspective concerning life as wells as golf. We look forward to a long-term partnership and friendship. Thank you George. George has worked my daughter Leeyen,10, and has helped her build and maintain a good looking swing. 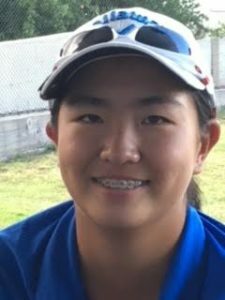 This SCPGA Jr. Tour season, Leeyen has scored her personal best course records in most of the tournament courses she competed in. In some instances she was able to shave 5 to 10 strokes from her scores from last year. If your looking for a coach that can continue to teach more as your kid is improving, then George is the man for the job. And he genuinely cares about the kid as as a golfer and as a person. We are more than satisfied with Leeyen's development of her golf skills, her on course management and her improved maturity she shows during tournaments. We look forward to more lessons and more sharpening of her golf skills. Thanks George!! I have been coached by George for about 6 years. Through these six years, George has helped me progress from being unranked to become one of the top junior golfer’s in the nation, winning the 2010 Rolex Player of the Year & 2007 USGA Girl’s Junior Championship. Not only did he teach about the swing, but he also taught me about the integrity and sportsmanship one must have. He also taught me to gain confidence which helped me greatly. Through the past couple of months, I have worked with George on one his latest high tech teaching aids called the TrackMan. 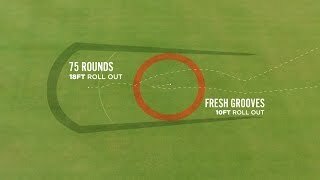 Since TrackMan showed me the exact numbers to every aspect of my swing I was able to make good swings every time. George and I are very excited for my next season and my future career. I couldn’t have done everything I have accomplished so far if it hadn’t been for George. I am a former California Junior College State Champion and Division 1 college golfer. I started working with George because I was interested in trying out some of the new teaching technology I had heard about (Trackman/Sam Puttlab). It was an eye opening experience. For the first time in my life, I actually understand why the ball flies the way it does. I learned that a hook is hit with a clubface that is open to the target line. I found out I was wrong about a lot of the things "I knew" about golf. For the first time in 10+ years I'm actually excited about golf again and I have to thank George for that. If you are interested in understanding ball flight, your swing or your putting stroke, do yourself a favor and go see George. You won't regret it. Mr. Pinnell taught my son Rory Hie since he was 14 year's old. This included Rory's junior golf career playing on the SCPGA Junior Tour, the AJGA and included his amateur career playing for USC. We are still in communication with Coach Pinnell even though we are in Asia. Rory's achievement speak's well of Coach Pinnell's patience and ability and know how, to teach Rory at a young age. The victory at the 2011 Tangshan China PGA Championship is a credit to Coach Pinnell's work with Rory. It's been a great month of golf for me so far thanks to George Pinnell! George has taught some of the best players in the world and helped them to where they are now in their careers. His list of players include a PGA Tour Champion, a LPGA Tour Champion, an USGA Champion, 2-NCAA All-American's, and 31 Polo Junior All-American's. In total the Player's that have received instruction from George have accounted for 350+ tournament win's on the Professional, College and Junior levels.